Soldiers love competition: the struggle against the obstacles, competing against each other to see the best of the best. That's when you see them push to the end of their physical abilities and do things that they never thought they could. That is what the 2018 Best Warrior Competition was all about. 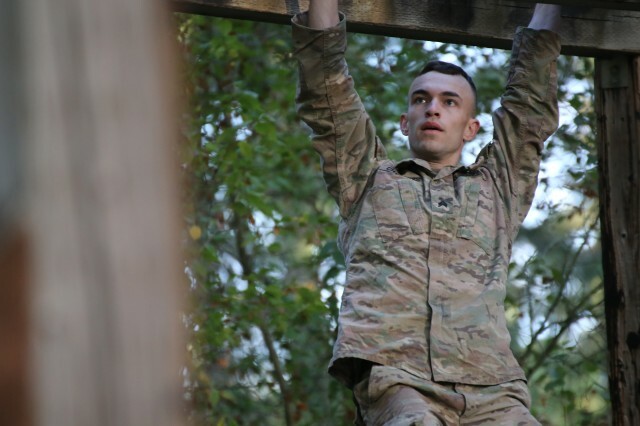 Guardsmen from across the state pushed themselves to their physical and mental breaking points during the four-day competition. "We created this year's competition to get everything we could out of the competitors," said Command Sgt. Maj. Bruce Ecclestone, state command sergeant major, Washington Army National Guard. "We had a close finish, separated by only six points." 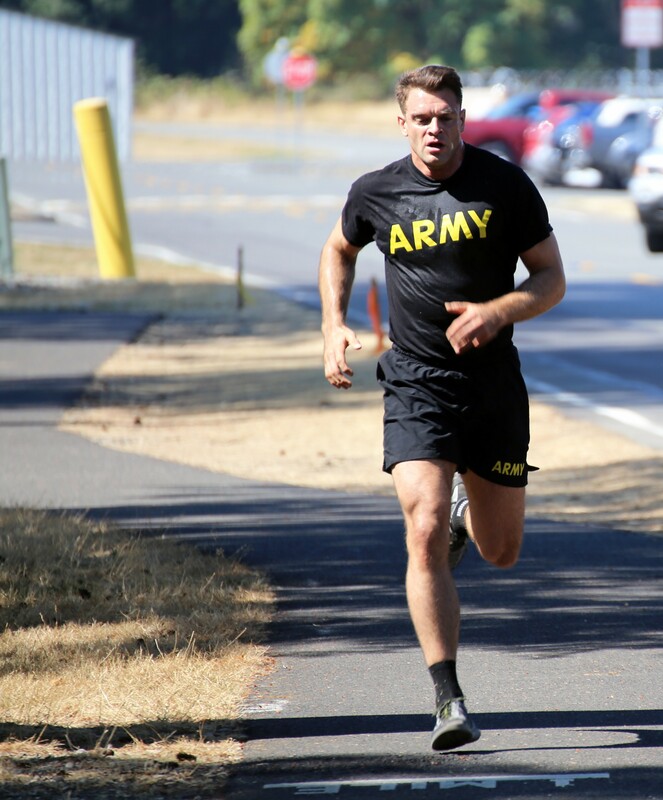 Competitors, chosen by their units during a board review process, came to Camp Murray on Thursday, Sept. 6, to start the multi-day competition, starting with an Army Physical Fitness Test and mystery events, which included pull-ups, a shuttle run and goblet squats. 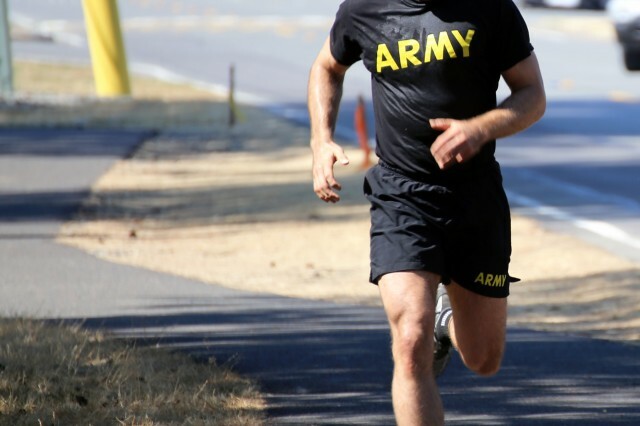 "If you are somebody that wants to test yourself against the best in the state, this is a great lane to do it in," said Private 1st Class Nicholas Pannoni, infantryman with Charlie Company, 3rd Battalion, 161st Infantry Regiment and Longview police officer. "This was a good opportunity to compete, understand where your weaknesses are and see what you are all about." The second day started with a 12-mile ruck march. Each competitor carried a 40-pound ruck sack, and weapon in full battle rattle. As competitors finished, they received medical attention as needed and prepared for their next event which was a test on familiarization on the MK-19 and .50 Caliber Machine Gun. The Guardsmen then moved on to Tactical Combat Casualty Care lanes before conducting land navigation. "So far, it's been killing me, but it's been good," said Spc. 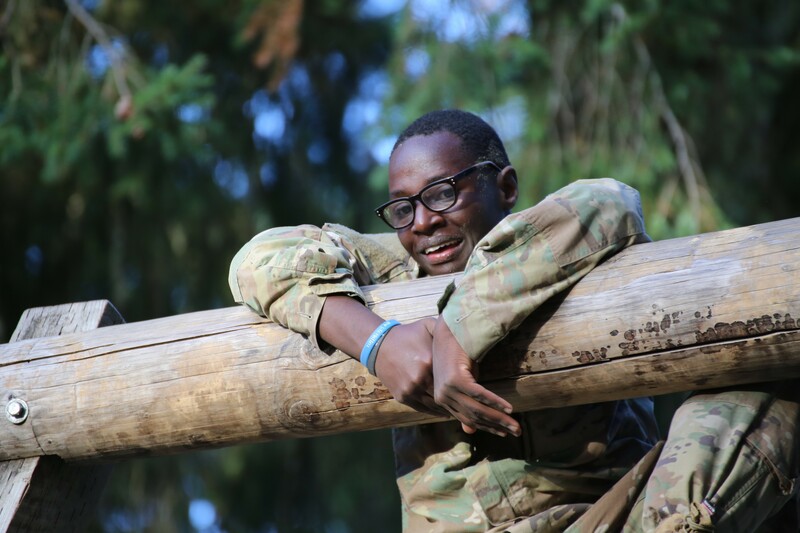 Arbogaste Twizere, combat engineer, Headquarters Company, 898th Brigade Engineer Battalion and a Central Washington University student. "I want to be the best; I don't want to be a regular person. I want to be special." Twizere and Pannoni, along with the other competitors, finished day two with a trip to the gas chamber before heading to the woods for night land navigation. Sgt. Kevin Chambers, a plumber with 176th Engineer Company and Bellingham resident, recently returned from working on the wildfires in eastern Washington in August. He took the challenge head on knowing he couldn't give up. "I was recently on the Sheep Creek Fire; it was fun, hard work. You feel accomplished at the end of the day knowing you are helping others," Chambers said. 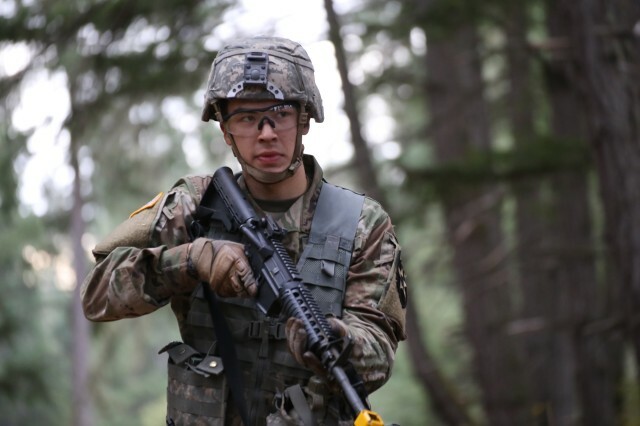 "As the only NCO in the competition, it's my responsibility to set the standard for the younger soldiers." On the third day, the competitors completed rifle and pistol ranges, threw grenades and completed Day Stakes lanes. "I am taking one event at a time," said Spc. Kevin Gross, a horizontal construction engineer, 176th Engineer Company. "You get one done and move on to the next. You can't think ahead." Gross, a general contractor in Tacoma, said he wanted to take part in the Best Warrior competition since finding out about it. "I want to be the best in my unit, state, region, country," he said. "This is why we do this, right? To be the best." 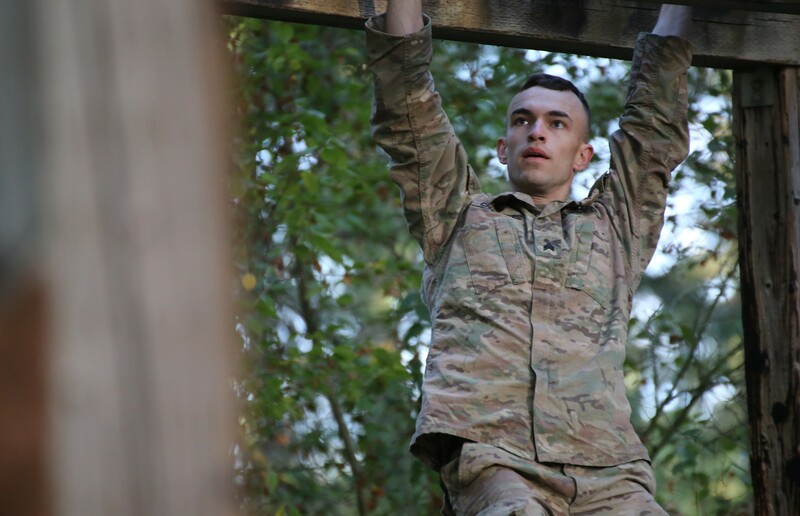 The competitors started the fourth and final day with an obstacle course and drill and ceremony event before wrapping up. "Challenges are nothing new to me, I went to basic training at 31," said Spc. Robert Levy, automated logistical specialist with Alpha Company, 181st Brigade Support Battalion and an employee at Wells Fargo in Vancouver. "I'll never be one to blame my age on being beat by soldiers much younger." "You all showed mental and physical toughness, and really showed the warrior ethos out there," Ecclestone told the soldiers during Sunday's award ceremony. This year, Spc. Alex Hartley, infantryman, Alpha Company, 3rd Battalion, 161st Infantry Regiment and a student and model from Seattle was named the Best Warrior, and Chambers was named best non-commissioned officer. "I am so happy to be the best warrior," Hartley said. "Many of the events pushed me to my brink but was fun. My leadership believes in me and knew I could win." Chambers and Hartley will move on from the state competition to the regional competition in North Dakota next spring to compete against the winners from Alaska, Idaho, Montana, North Dakota, South Dakota, Oregon and Wyoming.